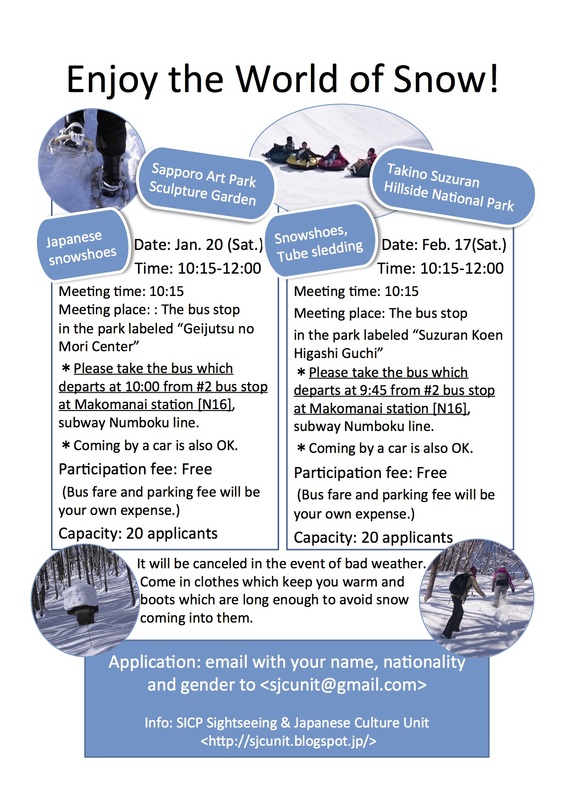 Enjoy a winter walking tour for non-Japanese people with citizen volunteers in the Sapporo Art Park Sculpture Garden. 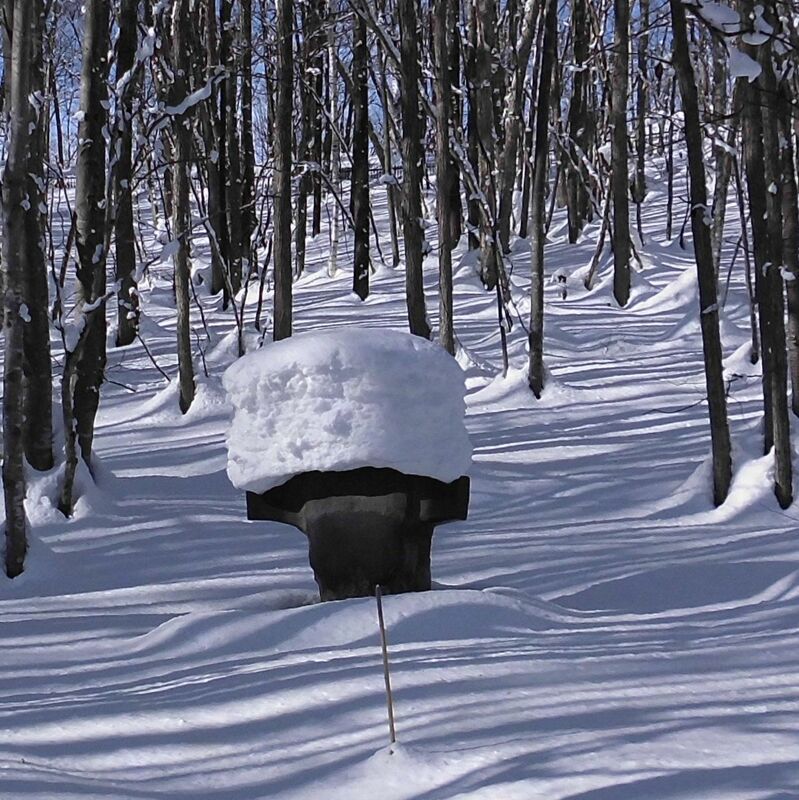 Snowshoe while appreciating the sculptures and winter scenery. Check the flier and our blog. 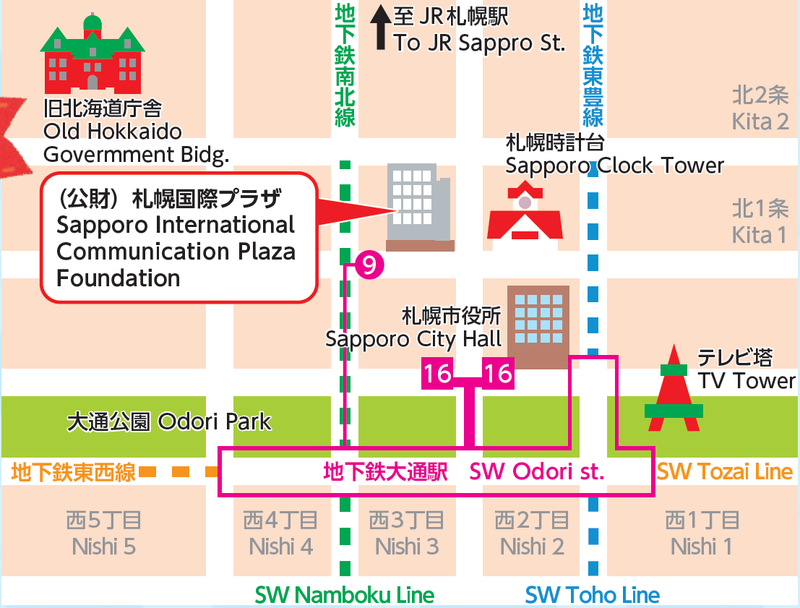 ＊Please take the bus which departs at 10:00 from #2 bus stop at Makomanai station [N16], subway Numboku line. ＊Coming by a car is also OK.
＊It will be canceled in the event of bad weather. ＊Come in clothes which keep you warm and boots which are long enough to avoid snow coming into them. 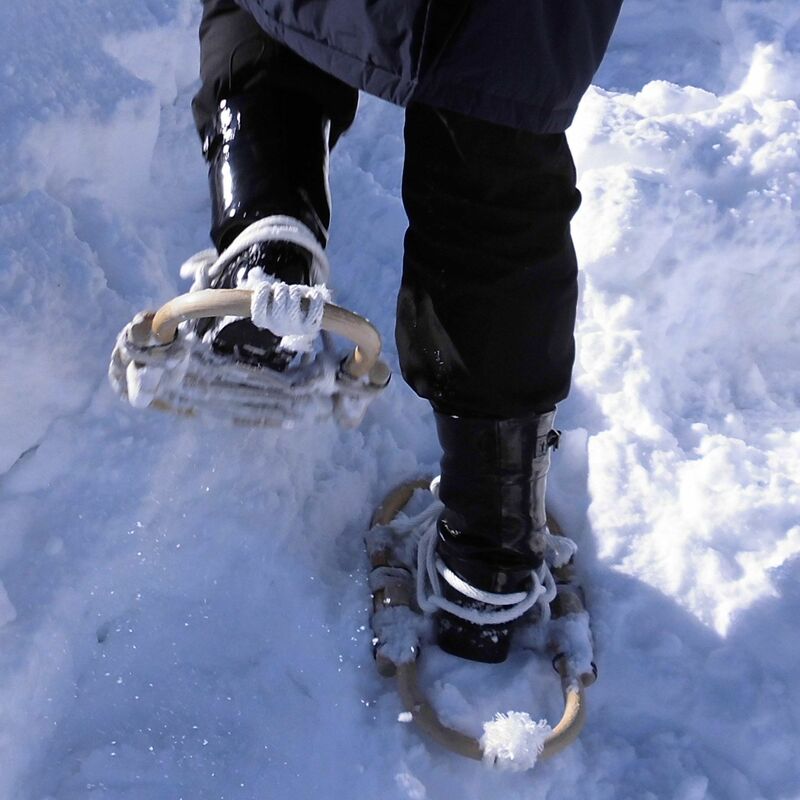 ＊You can borrow rubber boots at the Park but those are limited. 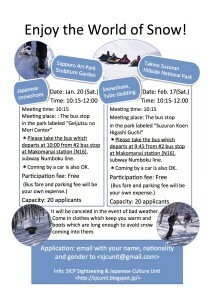 ＊The second snow activity will be on Feb. 17th (Sat.) 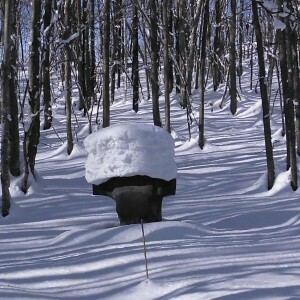 in the Takino Suzuran Hillside National Park.